In what could have been one of the most successful reboots in recent years, Roseanne Barr has ended her short-lived run with a single Tweet. 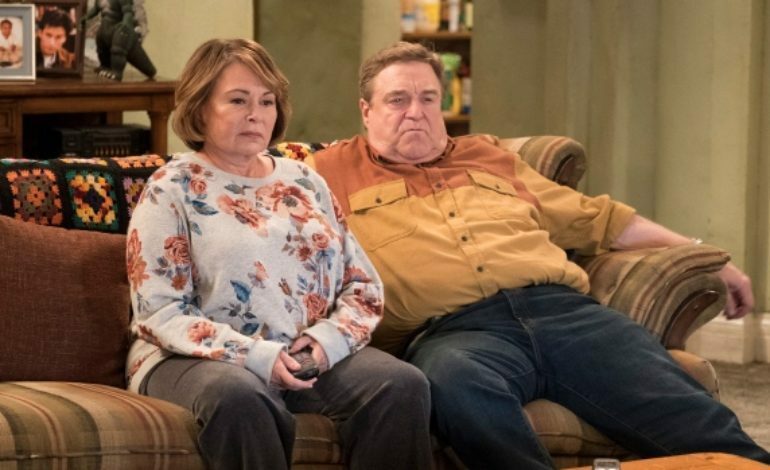 ABC announced that it has cancelled plans for what would have been Roseanne‘s 11th season. Barr tweeted out some disparaging comments about former President Barack Obama adviser Valerie Jarrett calling her a mix of the “Muslim Brotherhood & Planet of the Apes.” She shortly after issued an apology and noted she would be leaving Twitter (again). Too little, too late. One of her subsequent posts read as follows, “I apologize to Valerie Jarrett and to all Americans. I am truly sorry for making a bad joke about her politics and her looks. I should have known better. Forgive me-my joke was in bad taste.” Nothing more has been posted to the account since. Unfortunately Barr has a history of tweeting first, thinking later. She had a source check battle with Chelsea Clinton yesterday over family ties. In 2013, she also made racist comments about another administrator in the Obama cabinet. Jarrett has not issued a response but the timing is ironic as she will be featured on MSNBC this evening as part of a town hall on racism in America.